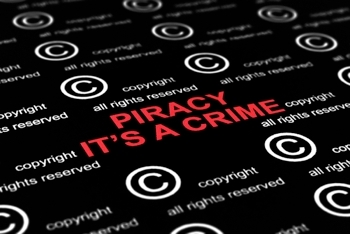 The British communications regulator, Ofcom, announced plans to press on with new measures under the Digital Economy Act today, warning broadband providers and their millions of customers it plans to crackdown on internet piracy as fast as possible following the government's successful recent High Court challenges by ISPs over the blocking of The Pirate Bay. Whilst the new measures have been severely delayed since the Digital Economy Act's passing by the Parliament in 2010, the regulator said it would consult on the new proposals with a view to implementing them by as early as 2014. Before that can happen though, the European Commission will be required to review the Act later this year. "These measures are designed to foster investment and innovation in the UK's creative industries, while ensuring internet users are treated fairly and given help to access lawful content," said Claudio Pollack, director of Ofcom's Consumer Group. "Ofcom will oversee a fair appeals process, and also ensure that rights holders' investigations under the code are rigorous and transparent." The planned measures also outline proposals about how consumers downloading illegal content should be contacted. As part of major reforms, Ofcom wants to introduce a three-strike system. If an internet user receives more than three letters over a 12-month period, copyright holders can request further information about the account holder in question, then use it to take them to court. Some additions to the Act are likely to be highly controversial though, especially provisions that will eventually require ISPs to punish persistent offenders by restricting their broadband speed, or even cutting off customers connections completely. Thankfully, this won't see the light of day until at least 12 months after it is enforced. The appeals process is likely to receive a fair amount of criticism as well. Those sent letters will be given 20 days to appeal against the accusations at a cost of £20, to a panel appointed by Ofcom only using the grounds specified in the Digital Economy Act, which contains no general right to appeal after it was removed on government orders. "The appeals are a joke. The Government has decided that 'I didn't do it' is not a defence. Some people will almost certainly end up in court having done nothing wrong," Jim Killock of the Open Rights Group said in a statement.